Cardinal C series portable counting scales are available in 30 lb and 65 lb capacities & feature a rechargeable battery pack, up to 9 direct quick keys, stainless steel platform, piece counts with known & unknown weight samples, & accumulator mode. Ideal for inventory counting where mobility is a must! The Cardinal C series portable counting scales are available in 30 lb/15 kg and 65 lb/30 kg capacities and feature a rechargeable battery pack standard for mobile weighing, up to 99 stored product look ups (9 direct quick keys), sturdy stainless steel platform, piece counts with known and unknown weight samples, backlit blue LCD, preset weight and quantity limits with audible beep alerts, and weight accumulator mode. The C30 and C65 counting scales are ideal for inventory counting where mobility is a must and value is important. For generations, customers have trusted Cardinal Scale Manufacturing and Central Carolina Scale to provide solutions for parts counting applications. These scales replace the popular CS series which were around for quite a few years. The new C series is the latest and greatest from Cardinal Scale Manufacturing. 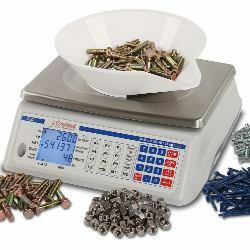 These durable Cardinal counting scales offer a full keypad to enter and recall known piece weights and tare weights, metric conversion, 1/300,000 counting resolution, bubble level, and non-skid feet for stability. You can quickly count multiple inventory parts with ease, and 15,000 weight divisions makes them capable of counting the smallest of parts! The UL-listed AC adapter is included with the scale. One point that we need to make about this scale to our customers regards the subject of replacement parts. Recently, we had a customer contact us who had purchased this Cardinal C series scale months earlier. The customer had a cracked display board. The damage was done by the customer and they admitted it. So, this was not covered by warranty but the concern was not that. When we contacted Cardinal about the replacement display board, we were told that Cardinal does not stock replacement parts for this scale since Cardinal doesn't actually manufacturer it. So the moral of the story is, if this C series scale has an issue that is not warranty related, it appears that it will be very difficult to repair and you will likely need to purchase a new scale. 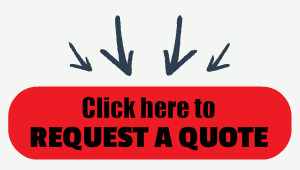 Having no spare parts seems odd to us, when compared to other suppliers that we deal with. We just wanted to mention this to you to be completely transparent.